According to the Canadian Cancer Society, an estimated 23,400 new cases of breast cancer were diagnosed in women, 190 new cases in men, and 5,155 persons died from of the disease last year. projects and community programs that promote breast cancer awareness and education. Tuesday, May 15th is National Denim Day. Businesses, organizations and institutions across Canada are encouraged to allow employees, members and/or students to wear denim and receive CURE's "pink flower" ribbon in exchange for a suggested $5 donation. 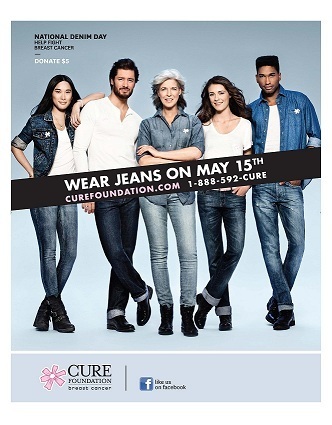 Monarch's team will be making individual donations and wearing denim to support this worthy cause. To learn more about what you can do, visit www.curefoundation.com.